(CBS) Next time you feel like calling in sick because of your allergies or your cramps, think about the pianist Liu Wei. The 23-year-old had both arms amputated after touching a high voltage wire while playing hide n' seek with friends. He was only 10 years old. 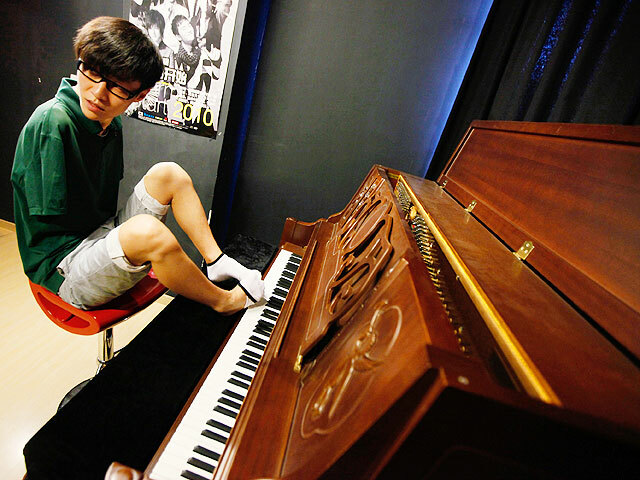 Wei didn't throw in the towel - at age 18 he taught himself to play piano with his toes, says the LA Times. On Sunday, he was nationally recognized after winning the popular "China's Got Talent" for his version of James Blunt's "You're Beautiful." He sang the song in English as his toes twinkled the keys. When the three judges praised Wei and told him to keep pursuing his dreams, he said that he would, according to the LA Times. Then he added: "At least I have a pair of perfect legs." Bet Wei never calls in sick. Watch his astounding performance here.